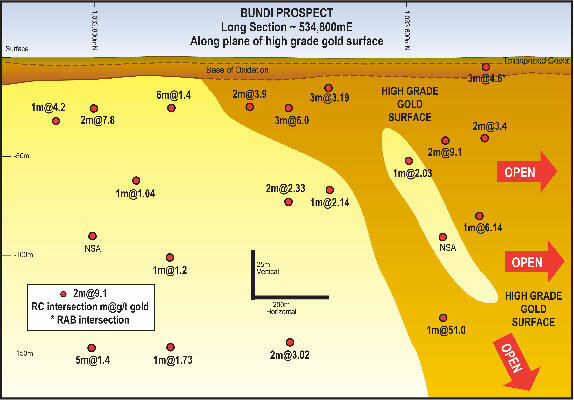 Bundi is a high grade gold and zinc prospect defined over 1100m strike that provides significant potential for a gold resource to be defined. 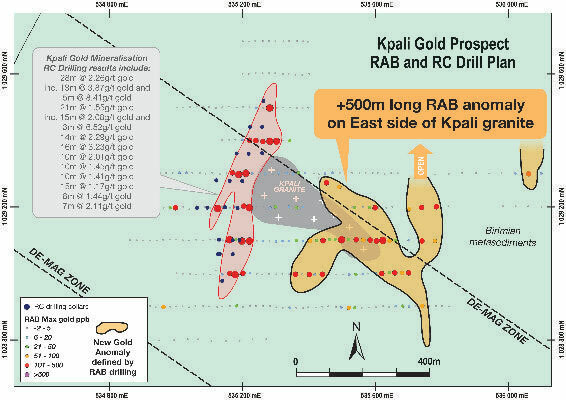 Discovered in 2013 following soil, auger and RAB drilling RC drilling was undertaken in 2013/14. 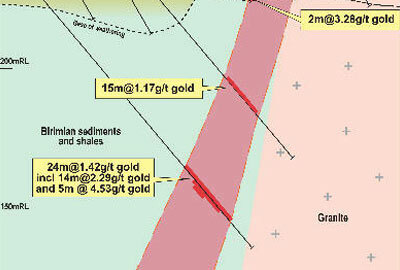 These holes intersected a high grade gold surface with assays up to 51 g/t gold. 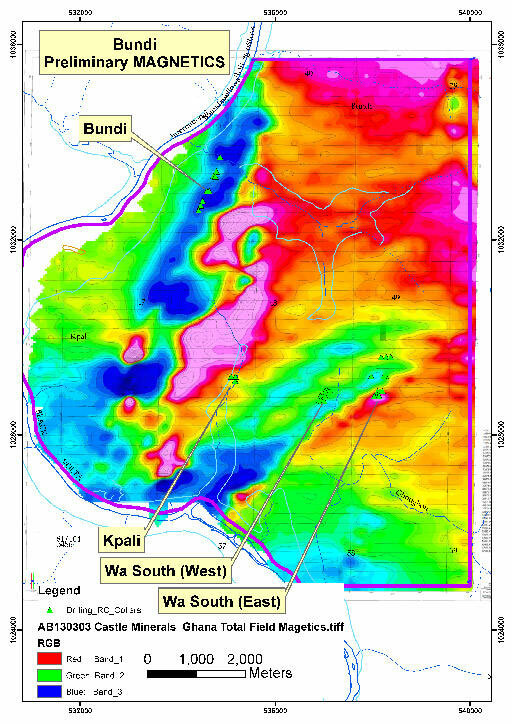 Drilling has now tested an 1100m long target with 16 of the 20 holes testing the Bundi structure reporting significant gold mineralisation. 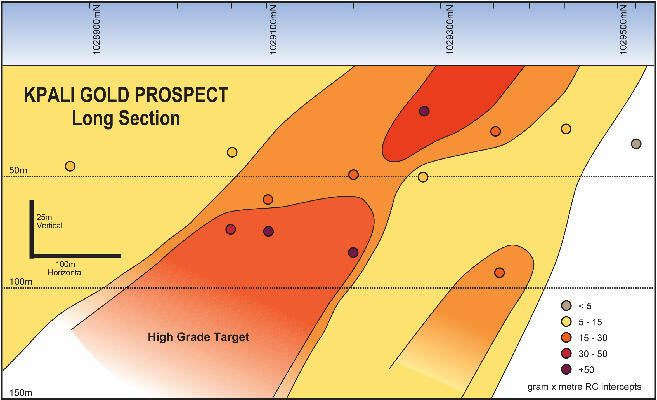 The gold mineralisation is associated with zinc sulphides with anomalous zinc intercepts including 10m @ 1.16% Zn and 5m @ 1.54% Zn reported. 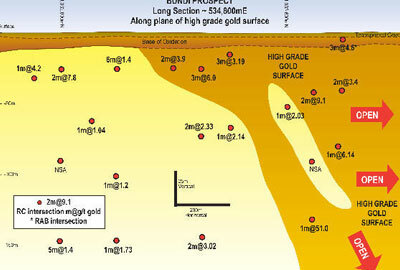 The high grade gold surface is open along strike and at depth and further RC and diamond drilling is proposed. 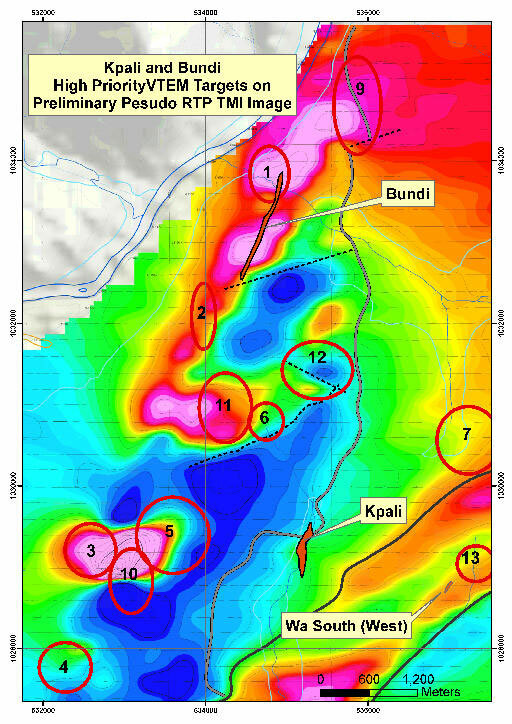 Gold mineralisation at Bundi is hosted within altered Birimian shales and sediments with associated sericite alteration and 1‐3% disseminated sulphides including pyrite, pyrrhotite, sphalerite and chalcopyrite. 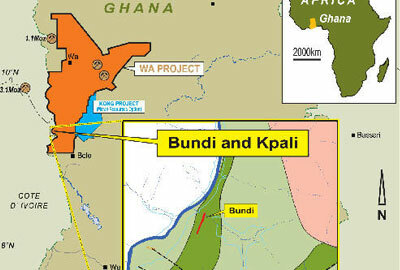 Bundi is a grassroots gold discovery in a previously unexplored area. 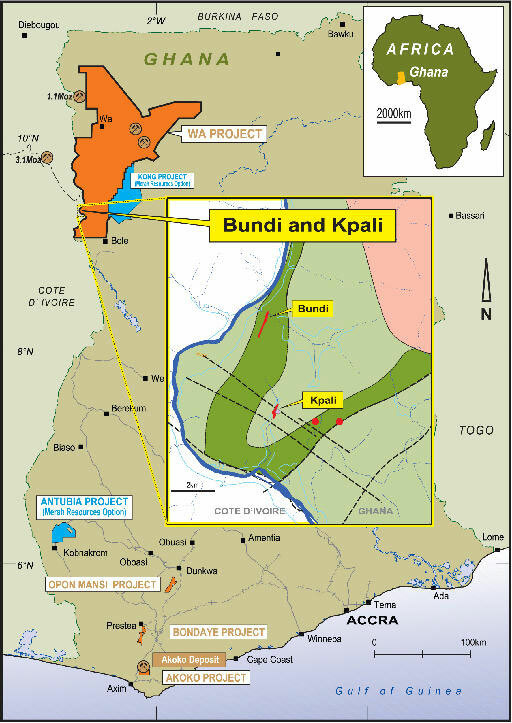 Kpali is located 4km south of Bundi and was discovered in 2013 beneath a thin veneer of alluvial cover from soil, auger and RAB drilling. 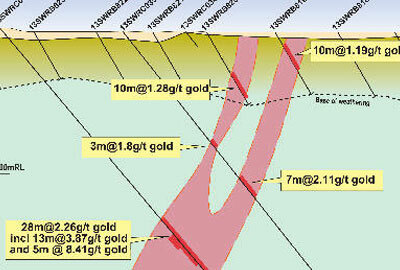 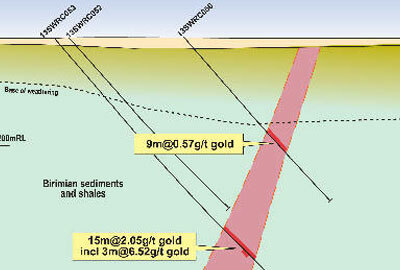 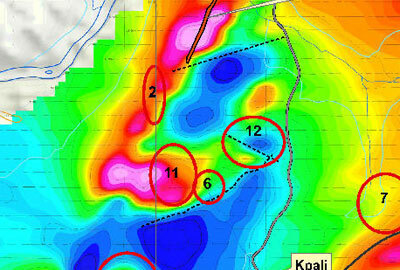 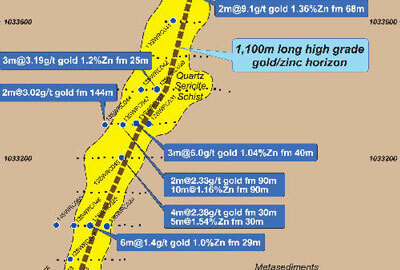 20 RC holes have been drilled over a 600m strike identifying an open ended high grade gold zone. 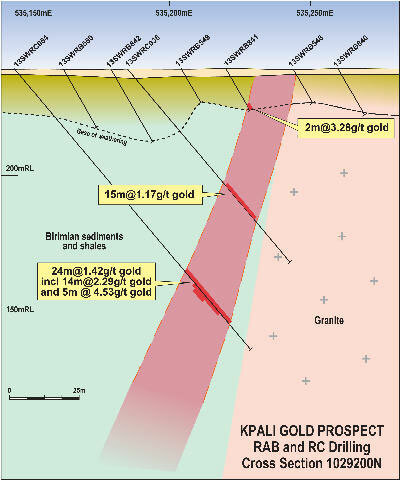 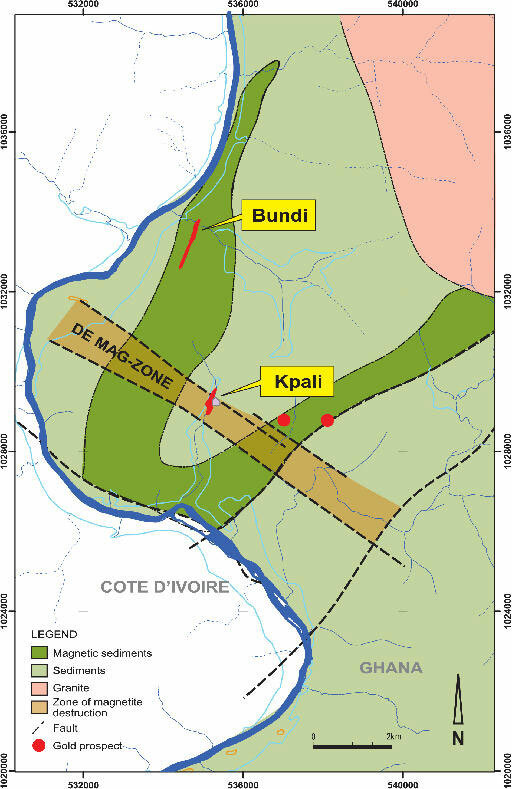 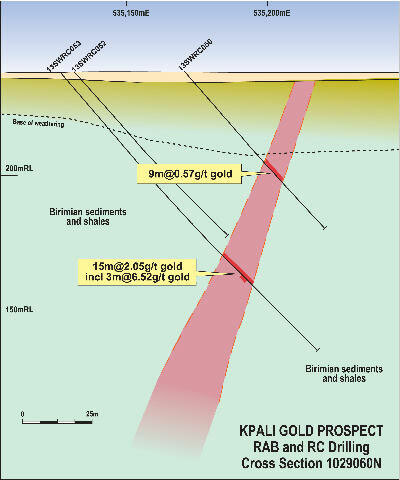 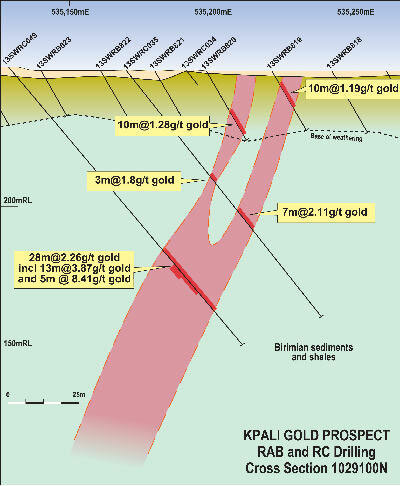 Gold mineralisation appears as hydrothermal lode style (pyrite-silica ductile altered Birimian sediments with minor quartz veining) providing great encouragement that substantial gold mineralisation could be present at Kpali. 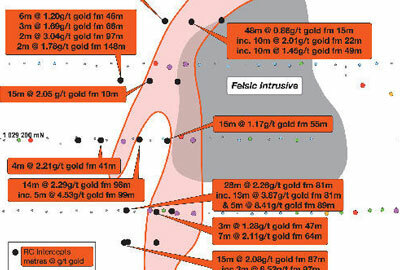 These intercepts are considered the most significant drill results received to date from Castle’s gold exploration in Ghana and provide real promise that a substantial gold deposit could be defined. 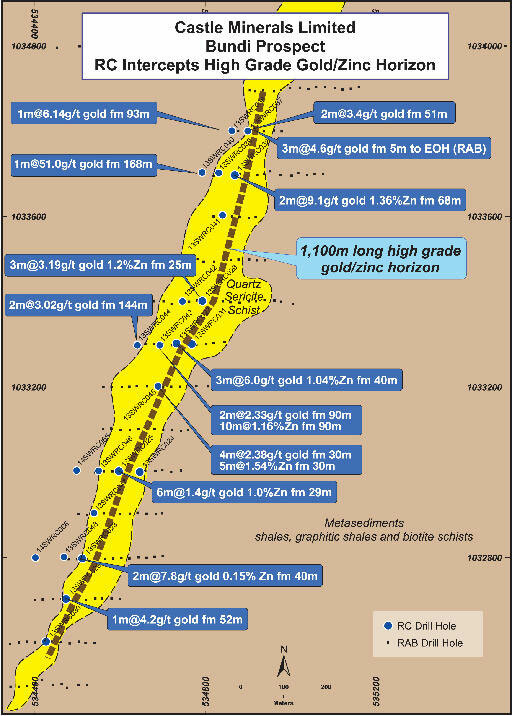 Drilling is wide spaced, being completed on approximately 80m spaced sections with mineralisation displaying excellent continuity. 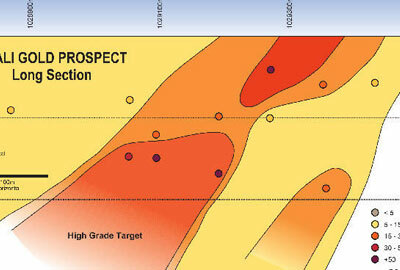 Further drilling is proposed. 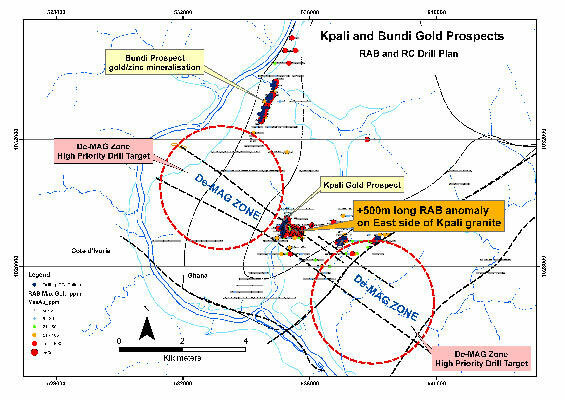 In 2014 RAB drilling intersected a new area of near surface gold mineralisation 500m east of Kpali. 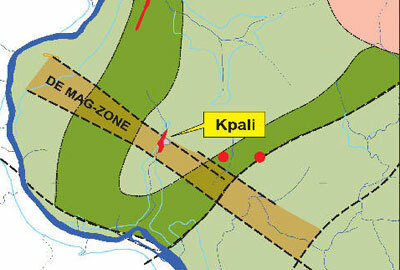 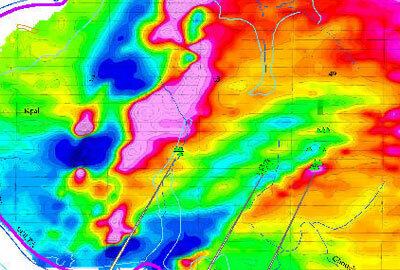 This zone has excellent potential to host primary gold mineralisation. 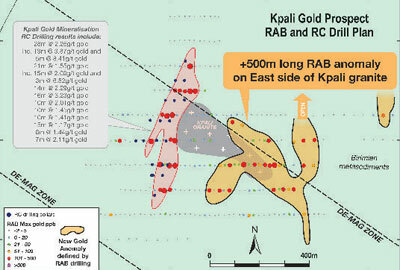 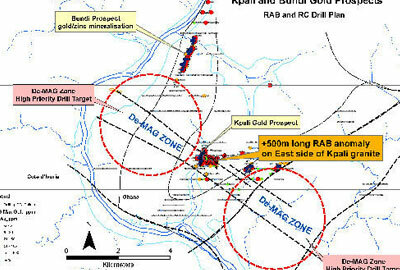 The RAB intercepts overlie the east side of the Kpali granite and are aligned with a demagnetised corridor; this setting is considered extremely favourable for gold mineralisation. 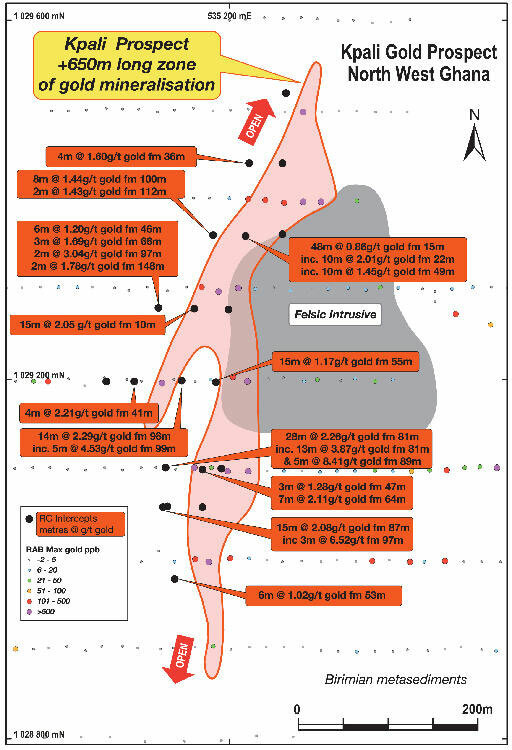 The orientation and setting of the RAB intercepts is consistent with the regional structural interpretation and provides strong evidence that the +10km long “demagnetised” corridor identified from magnetics could host significant gold mineralisation.